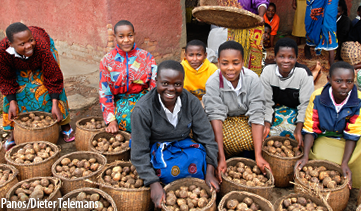 Evidence-based decision making for nutrition policy and programming is critical to accelerate progress. In Ethiopia, the EU-backed National Information Platform for Nutrition (NIPN) supports this process by revisiting existing data and information to answer policy questions and to inform decision making. Ethiopia’s NIPN, established in 2018, is hosted by the Ethiopian Public Health Initiative (EPHI). In line with the principles of Ethiopia’s National Nutrition Program, the EPHI fosters multisectoral collaboration to implement NIPN. With financial support of the EU, IFPRI’s Compact2025 initiative supports NIPN through a NIPN Technical Assistance Project. IFPRI is well placed to provide this support, as it has a longstanding experience in the country. NIPN’s innovative character lays in the fact that it collates and analyzes existing datasets to generate evidence to guide strategic decisions. Ethiopia is a data rich country. Over the years, national and regional level data have been collected to monitor programs or to report on nutritional outcomes—very often with little use beyond these specific purposes. A revisit of these datasets can generate a wealth of information and can help filling knowledge gaps on nutrition, support the development of policies for better nutrition, and enhance implementation and scale-up of programs—some of the major recommendations from Compact2025’s roundtable discussion in Ethiopia. IFPRI is supporting this process by strengthening capacities. A first step in this process was the organization of a 4-day training in Stata conducted by Abdulazize Wolle and Tirsit Genye of IFPRI for 27 nutrition researchers, organized at EPHI with support of IFPRI’s Ethiopia Strategy Support Program and IFPRI’s NIPN technical assistance project. While this training focused on teaching participants how to use Stata, the exercises were geared towards learning how to analyze health related data collected through the national Living Standard Measurement Surveys. 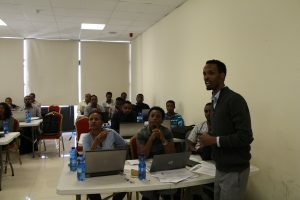 A second step in this process was the organization of a five-day training given by Ibrahim Worku Hassen of Harvard University in December 2018 that focused on understanding the potentials of the datasets collected through the household income, consumption and expenditure surveys (HICES) administered by the Central Statistical Agency of Ethiopia. 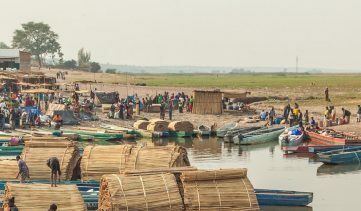 These datasets include five rounds of data collection and can provide consistent information to NIPN stakeholders about various nutrition measures, as well as insights on food prices, access and affordability, household food expenditures and consumption. 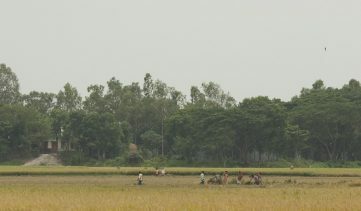 The training applied a practical approach, using existing IFPRI research as an entry point, which was subsequently translated into various practical exercises. By the end of the training, participants had identified their own research topics to be pursued. With this training, IPFRI and EPHI reached 23 nutrition researchers coming from various national nutrition research institutes, universities and the Ministry of Agriculture. Trainings organized under NIPN also intend to forge partnerships. By inviting nutrition experts from various sectors (e.g. health, agriculture, water), research institutes, and universities, NIPN trainings contribute to promoting the multisectoral involvement in NIPN. They also allow to create long term capacities, as witnessed by Dr. Kaleab Baye, Associate Professor and Director of the Center for Food Science and Nutrition at the Addis Ababa University: “The Stata and HICES trainings were hands-on and practical... just what our students needed! The trainings testify the growing collaboration between IFPRI and Addis Ababa University and illustrate the potential of this collaboration in building capacity of the next generation of nutritionists." IFPRI, under Compact2025, will continue to build capacity to support NIPN as it supports accelerated progress in Ethiopia through data and analysis.